Former Vice President General Godrey Miyanda has questioned Edgar Lungu’s conduct and motive for declaring a state of emergency. Miyanda says while the laws for dealing with emergency situations exist in almost every country, the danger is in the conduct of the people who have power to invoke such laws. Gen Miyanda says Lungu has been planning to declare a state of emergency for a long time. Whether the declared State of a Threatening Situation will achieve results depends on what the real motivation was for the President to make the declaration. I would like to support the President and his government but I have serious doubts and questions that must be allayed by the Government. Long before now President Edgar Lungu had hinted at the declaration of a State of Emergency which, inter alia, he said could target some specified region which he did not reveal. 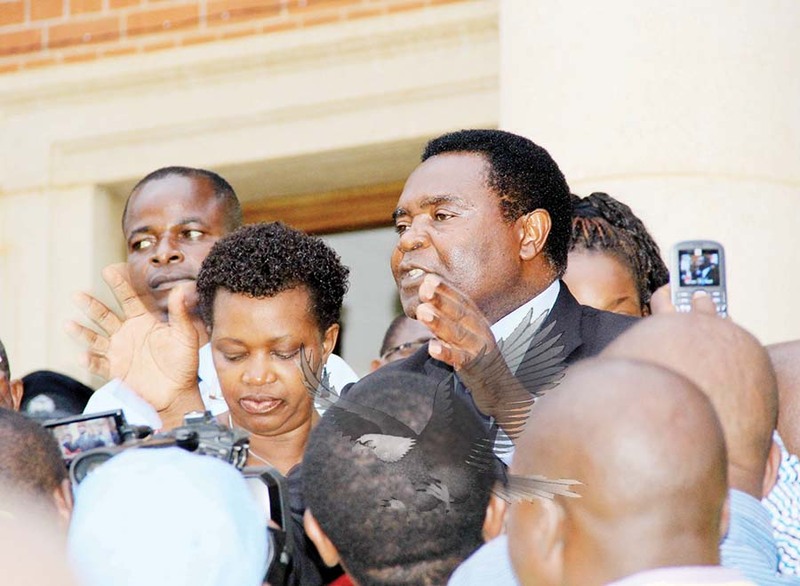 The PF Members of Parliament have previously been targets of a presidential threat at the beginning of the 2011 life of Parliament, barely before the new Members of Parliament settled down. This was after the MPs defeated a motion introduced by the Government. The late President [Michael] Sata threatened to “deselect” them if they did the same in future. The Speaker, who is the custodian of MPs’ rights, did not protect them. Soon after this incident a number of motions went through literary without debate, including the one for the creation of Provinces and Districts. Further the current National Assembly has 48 opposition MPs suspended. There is thus no National Assembly as envisaged by our people. So who will act as a check and balance on the Executive? Another serious concern is the capacity of those who will be executing the invoked Constitutional provision. So far government systems have collapsed or are on the verge of collapsing. The Public Order Act has continued to be abused by the same officers who will be executing the new declaration. Contradictory statements by the President, the Vice President [Inonge Wina] and the Minister of Home Affairs [Stephen Kampyongo] leads me to question the decision to declare the threatening emergency. These points, among others, have led me to conclude that there are less than noble reasons for mergence declaration. Let me be absolutely clear: I am NOT saying that the barbaric actions by whoever are not real. I am saying that the action by the President has gone overboard. I was part of the team of the MMD that had in its manifesto, as a priority manifesto action point, the removal of the One Party State and the expunging from our statute books of the only full State of Emergency we had under the KK regime. That state of emergency lasted for close to 30 years, repeat, close to 30 years! What guarantee is there that this one, which has been creeping in slowly, will not be there until 2021 which some people are worried about? I beg to disagree with the President particularly that he is against dialogue. I enjoin him to agree to meet with fellow leaders of political parties to exchange views about the state of the nation. We are not his enemies or enemies of the country; it is all our country and we have a right to be better informed so that if need be, we may then support the actions of the President. His Presidency does NOT exist in a vacuum nor is it a partisan assignment. Lest I be misunderstood I re-emphasise and make clear that I continue to be a patriotic Zambian and would wish for no ill against my country and Government. However patriotism does not mean blind loyalty or condoning conduct that is less than noble, especially if accompanied by dictatorial tendencies and half-truths.